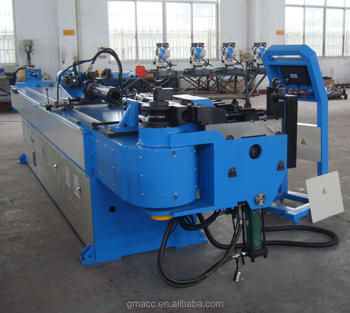 NC series single-head bending machine, importing advanced design technology from Italy, is a kind of automatic three-dimensional pipe bending machine, integrated with machine, hydraulic, and electricity. Various data and orders can be input and stored in advanced imported touch screen, which can automatically rotate the angle in three dimension continuously, besides, manual material feeding meets the requirement for processing precision of complicated work pieces all make NC series a professional and high speed European pipe bending equipment. 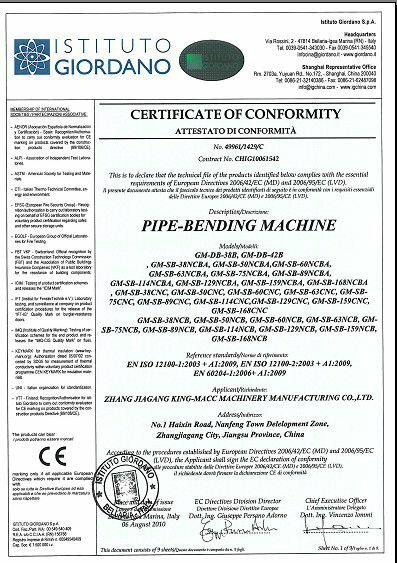 Above configuration is common kind for NCBA, which also can be equipped with brand appointed by customers.